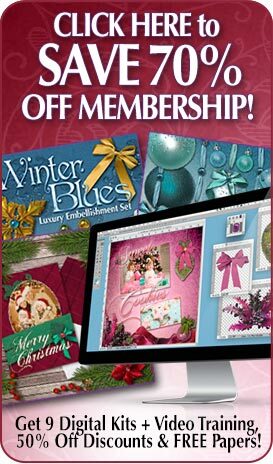 Design Points is a customer rewards bonus program offered to all our customers who know that ZaibyDesign.com is their best source for scrapbooking resources and Photoshop design tools. 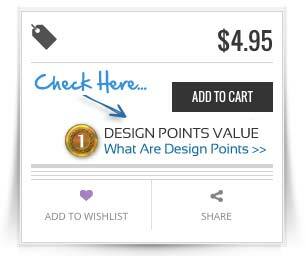 With Design Points you can collect and save them to use on future purchases and promotions offered on the site. How Do I Collect Design Points? Every time you purchase a product from ZaibyDesign.com you will receive Design Points for each product when you check out. It’s pretty simple. Each product has a Design Points image on the page. It will show you how many DesignPoints you earn when purchasing the product. Products under $10 = 1 point. Products that cost $10-$20 = 2 points. You can earn points for EVERY item purchased here at Zai by Design, even if it’s on sale. So if you buy a an item worth 2 Design Points, you will receive 2 Design Points for use against future purchases. How Do I Use Design Points? Once you collect 10 points, you can redeem them for a a 20% discount on top of all other discounts on your NEXT purchase. You can view and redeem your points from the My Account page. If you have enough points for the discount, just click the “Get It” button to send the coupon to your email. They don’t take long to add up to some real savings. If you forget how Design Points work, just click the image to be brought back here. We aim to make your purchase as easy as possible.